To assess patient perceptions regarding medical photography and the use of smart devices, namely mobile phones and tablets for medical photography. 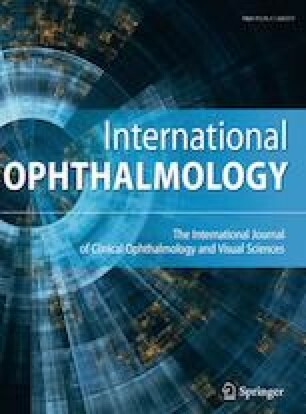 A questionnaire-based survey was conducted among 280 consecutive adult patients who presented to the oculoplastics clinic at a tertiary eye care centre. The responses were tabulated and analysed. Of the 280 patients surveyed, 68% felt that medical photography had a positive impact on their understanding of their illnesses and 72% felt that the use of smartphones for medical photography was acceptable. Respondents below the age of 40 years were more likely to approve of the use of mobile phones for photography as compared to those over 40. Most patients (74%) preferred a doctor to be the person photographing them. While a majority approved of doctors and trainee physicians having access to their photographs, they felt non-physician healthcare personnel should not have access to clinical photographs. Also, 72% of the respondents felt that the patient’s consent should be taken before using their photographs. It was noted that patient identification and breach of confidentiality could be some of the potential issues with using smart devices as cameras in the clinic. Clinical photography in general and, specifically, using smart devices for clinical photographs have gained acceptance among patients. The outcomes of this study may be utilized to create policy guidelines for the use of smart devices as photography tools in the clinics. The findings of this survey can also help to create standardized, uniform patient consent forms for clinical photography. Prior presentation: 27th Annual Meet of Oculoplastic Association of India, Vadodara, India 2016. None of the authors have any conflicting interests pertaining to this manuscript to disclose. No intervention was performed on human participants or animals in this project. This study was carried out in line with the Declaration of Helsinki and was approved by the Ethics Research Committee. All subjects having participated in the study provided written informed consent prior to participation in the questionnaire.